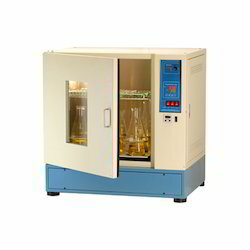 Prominent & Leading Manufacturer from Chennai, we offer bio safety class cabinets, bio safety class ii cabinets, bio safety class iii cabinets and bacteriological incubator shaker. We are the Leading Manufacturer, Supplier and Exporter of Bio Safety Class I Cabinets in Chennai, Tamilnadu, India. Class I biosafety cabinets is designed for operator and environment protection from materials hazardous for operator’s health. The operation is based on the forced removal of hazardous substances from the working zone through the air up-flow, with high-effective air filtration and its exhaust into the environment. Working with 2 agents, there is no risk of their cross-contamination owing to unidirectional (laminar) air upstream. Our biosafety Class I cabinets / biological safety cabinets available at industrial rates. We are the Leading Manufacturer,Supplier and Exporter of Bio Safety Class II Cabinets in Chennai, Tamilnadu, India. A class ii cabinets are widely suitable for protection of the product, personnel, and the environment and generally used in clinical, hospital, life science, research and pharmaceutical laboratories. These class ii cabinets are once again classified based on the method and volume of air re-circulated and exhausted. We are the Leading Manufacturer, Supplier, and Exporter of Bio Safety Class III Cabinets in Chennai, Tamilnadu, India. 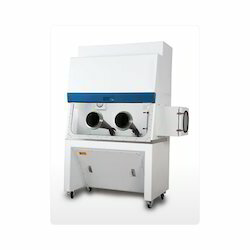 Class III biological safety cabinets are gas-tight, designed for use with high-risk biological agents. 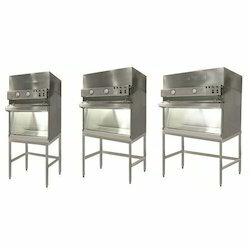 Class III cabinets provide the highest level of personnel, product, nd environmental protection. Because of the sensitive nature of most procedures performed within a class iii cabinets, we build each system to exact customer specifications. Work with emerging diseases or diseases marked for near eradication. Maximum containment of highly infectious or hazardous experimental materials and extra level of safety not available in class I or ii cabinets. Cabinets constructed by using Electro-galvanized iron sheets of heavy thickness and are coated with polyurethane paint for lasting cabinet life. The entire work area, including the side and a rear wall, are of double layered and the inner layer is made of 300 series stainless steel sheet with finish 4 polish. “clean air™” cabinets are also available in complete ss construction. 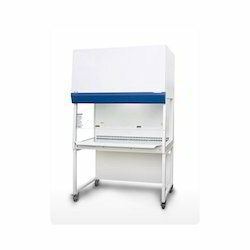 Looking for Biological Safety Cabinets ?